The sharpness of your skates can affect both speed and agility, so you'll need properly sharpened skates for top performance on the ice. You can manually sharpen your skates with the right tools, but doing a good job requires a precise level of skill and technique. Skate blades have two ridges, and you must sharpen both to the same level for proper performance. Put each skate into a sharpening jig and tighten the front support first. 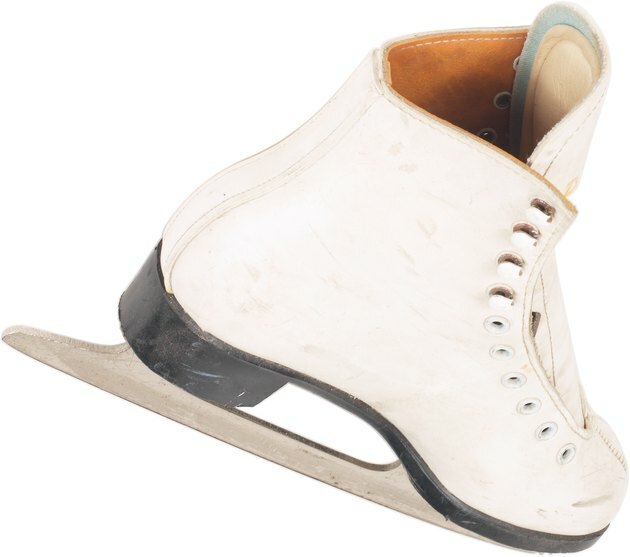 You must place skates in the same position each time in order to achieve the same cut. Turn the back blade brackets until they are tight, then tighten the front blade brackets. The skates should fit snugly against the plastic restraining bar. Set up the skates so that the blades are parallel to one another and level on top. Place the sharpening jig between your legs and sit down. This allows you to keep the jig steady while sharpening the blades. Use your flat file and begin at the toe or heel and move it across the blade in a diagonal motion. The file should always remain perpendicular to the blade when sharpening. Run the flat file across a blade in one direction 15 to 20 times and then repeat in the opposite direction. Do the same for the other skate. Use a burr stone to wipe away any metal fillings, and then wipe off the sharpened blades with a towel. Sharpen your skates when they begin to feel dull and lose their edge. For active skaters, this could be as often as every two weeks. Check that your skates are even in the jig by placing a burr stone perpendicular across the blades. It should balance and remain stable if the blades are lined up in the right position. If you are unsure about the process or are new to skating, take the skates to a professional shop to have them sharpened. Incorrectly sharpening blades can make them more likely to break.